. إن الخدمات الممتازة وحسن الضيافة العالي في Leura House تجعل إقامتك تجربة لا تنسى. لضمان راحة ضيوفه، يقدم الفندق الخدمات التالية: مرافق مخصصة لذوي الاحتياجات الخاصة, تخزين الأمتعة, واي فاي في المناطق العامة, صف السيارات, غرفة عائلية . في الفندق غرف نوم يتجاوز عددها 13، كلها مجهزة بعناية وجمال وبعضها مزود بـ تلفزيون بشاشة مسطحة, غرف لغير المدخنين, مكيف هواء, تدفئة, مكتب. كما أن مجموعة الخدمات الواسعة الموجودة في الفندق لضمان راحتك تترك لك الكثير من الخيارات لقضاء وقتك أثناء فترة إقامتك. إن كنت تتطلع إلى إقامة مريحة وهادئة في بلو ماونتيينز، فستجد في Leura House بيتك الثاني. This was the first house built in Laura and the village is named after the house rather than the other way around! Full of history, and within a few minutes walk of the village centre. Rooms vary a lot in position and size but are comfortable, if a little well worn. Breakfast is predictable, satisfactory but not exciting. One of the best features is the huge and comfortable sitting room, full of books, games, and easy chairs. A great place to be on a wet day! Went out for breakfast as so limited. No fresh fruit or yoghurt. This is more a guest house (B&B) than a hotel. It it a well maintained older building which is airy and charming. Our room was large and beautiful, with entry onto the (shared) balcony. There is a large shared guest lounge and beautiful gardens. Location is excellent. 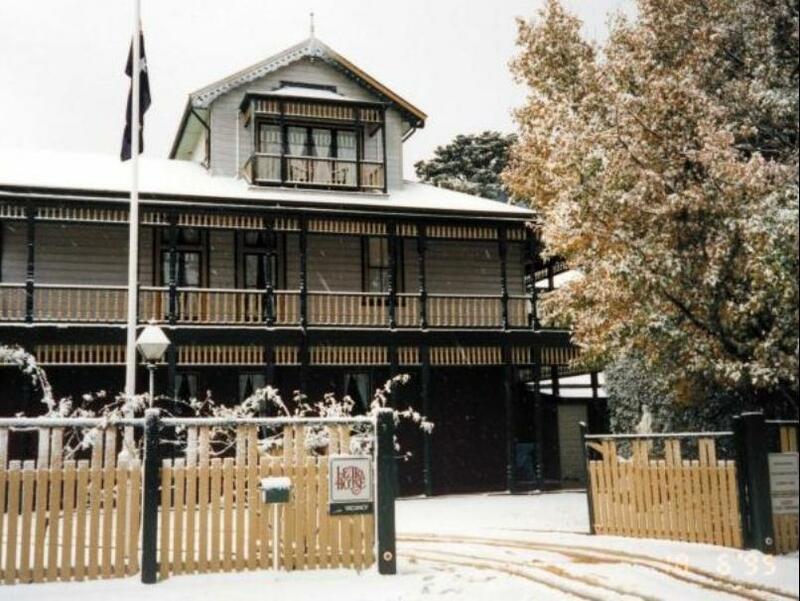 Leura is a beautiful town, and Leura House is only 5-10 minutes walk from the main shopping area. Close to the train (5 mins walk) station, but not too close! There are many great food options nearby. We only stayed on night but I would happily stay a little longer, to have time to experience the charm of the building. Loved it here, easy one train stop to Katoomba for a little more night-life options but Leura itself is a great little town. I was in the area primarily to hike the Blue Mountains and the owner, Gary, is a super nice guy and had great pointers for me to build the perfect challenging day hike. The room A++, breakfast and general establishment A++, loved my two-night stay at Leura House. The house has a great atmosphere and staff are ok however you must check in early. Breakfast very ordinary. Beds need updating. The house could be a great resource of historyhowever there are mohor ommissions and gaps. Comfortable nighr for business travellers. Enjoyed our stay here,even if for only the one night.Located with in walking distance of Leura Mall and restaurants.room was spacious and clean.Gardens beautifully maintained.Breakfast included as well.😀.reasonably priced compared with a lot of surrounding properties. Beautifully restored old house, warm and cosy.The breakfast was fine. Slightly out of town, but still within walking distance. Lovely clean and quaint facility. I would recommend the Red Velvet Room, which is the master suite. We spent three lovely days in the Blue Mountains. 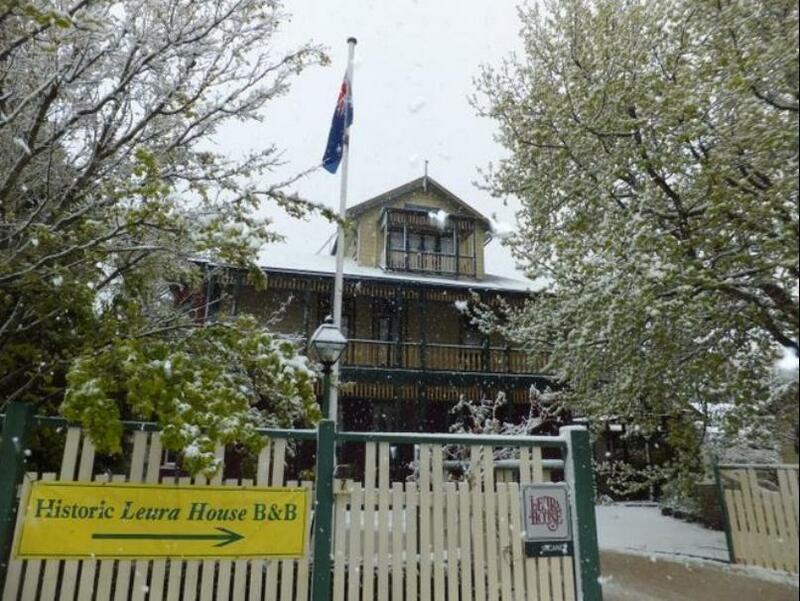 Leura House is close to the business centre and train station. We walked everywhere and trains & buses were available to explore other areas. There is no need for a car. We had a roomy, well heated, comfortable room. The room was not serviced during our stay. A cooked breakfast was available on the weekend. Midweek breakfast was average. Overall we had a nice stay but not as good as other B&Bs we have stayed at previously in the region. Very close to Leura station and a good food hotel. Hotel manager was very nice and gave us many good advices. Room was good and clean, But breakfast were disappointed, just simple toast and some cereals. Lovely House, Great Location - the owner makes you feel at home. Easy check in and out, breakfast included and nice big, clean room. The location, quietness, friendly staff made our stay most enjoyable. Would definitely choose to stay here again. Highly recommended. Great place to stay with good historical significance. Staff were very accommodating and the rooms are large, comfortable and great views from their own balcony. The hotel is one of, if not the first, buildings in Leura and is like a rabbit warren steeped in history. Location. Clean and large room.